Managing care logs allows homecare agency owners to track the care plans, and daily work of employees who are providing attention in a client’s home. In the past, care logs were primarily comprised of paper charts and notes that travelled between an in-home care agency’s office, the caregiver and the client’s home. However, in a world where technology and mobility have made it possible for information to be accessed and shared in real-time, paper is too slow to allow homecare owners to manage their business efficiently. Typically, paper care plans and logs are created for each caregiver shift. After distribution to caregivers, logs are completed sometime between when the shift begins and the logs are returned to your agency’s office. After a quick review, logs are commonly filed away;\, leaving you bogged down with dated paper files that become a burden to store and access. 1. Electronic Care Logs = No Paper! When using the ClearCare care management software, you’ll be able to create individualized care plans for each caregiver shift by adding tasks like, “Prepare Breakfast,” “Heart Medication Reminder,” or “Transport to Appointment with Dr. Smith.” Care plans, and the logs of task completion from caregivers are then automatically stored in the system, meaning that care logs don’t get filed away or take up valuable office space. They become available for review or modification with the click of a mouse and are accessible from any computer or tablet with your secure administrator log-in credentials. ClearCare homecare software gives care managers the ability to add a time for each task, and requires caregivers to check off tasks by calling into a telephony system or using an electronic tablet with internet access. If a task is missed or late, caregivers must provide a reason, allowing care managers to keep an eye on the progress of their clients and employees as the care is occurring. Oversights and mistakes are reduced significantly by enabling real-time accountability. 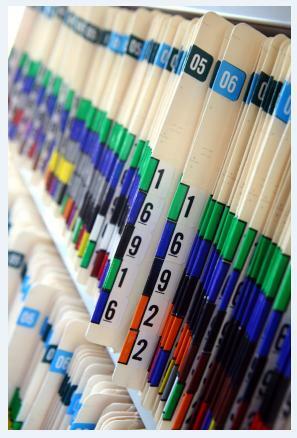 Via administrator system log-ins, managers are also able to add tasks immediately should a client care plan need to be amended due to a new medical condition, dietary restrictions, or client request. With ClearCare, the amount of staff time spent creating, distributing, collecting and managing paper care logs is reduced to only the time it takes to enter the care tasks into a caregivers shift. And because the ClearCare system is highly intuitive and as easy to use as most consumer websites, you may be surprised just how quickly care plans are up and running! If paper care logs, or an outdated homecare software system, are slowing down your elder care agency’s administrative and caregiving practices, it’s time to see how ClearCare’s technology can save you time and money. Call us today for a 30-day free trial, and demo of the power of ClearCare; we’re here to help your homecare business thrive.